The vertical drop from summit to base is 4265 ft. The average difference in altitude between base and summit of Ski Resorts in France is 2848 ft. Most runs are therefore relatively long. The high point of the ski resort is located at an elevation of 8202 ft. Season starts on Dec 22 and ends on Apr 14 (113 days). Average season duration in France is 118 days. Average snow depth during the season (Dec 22 to Apr 14) is 72 " at summit elevation and 23 " at base elevation. Snow coverage is usually best during March, offering an average snow depth of 85 " at summit elevation and 26 " at the base. 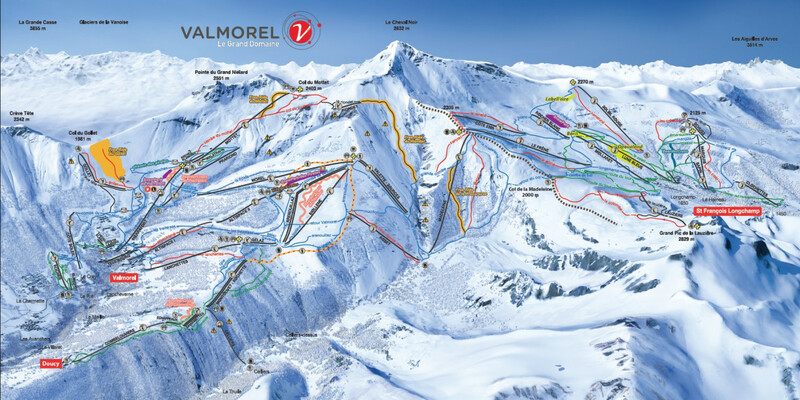 Valmorel (Le Grand Domaine) features 62 sunny days on average per season. The average for all ski Resorts in France is 66 sunny days. February is the sunniest month with an average of 21 sunny days. Nestled in the foothills of the Col de Madeleine lies the charming village Valmorel. Allthough Valmorel is very young for European standards (it was created in the 2nd half of the 20th century) its makers continued the alpine tradition and used only materials such as wood and rock. The results are beautiful ski lodges, picturesque back yards and an ample pedestrian zone. Le Grand Domaine offers 165 km (ca. 102 mi) of slopes for beginners as well as for advanced skiers. Almos 50 lifts connect the villages Valmorel, Saint-François-Longchamp, Doucy and Celliers. Six fun zones including snowparks, boarder cross and the Pirate Adventure Zone guarantee a lot of fun. 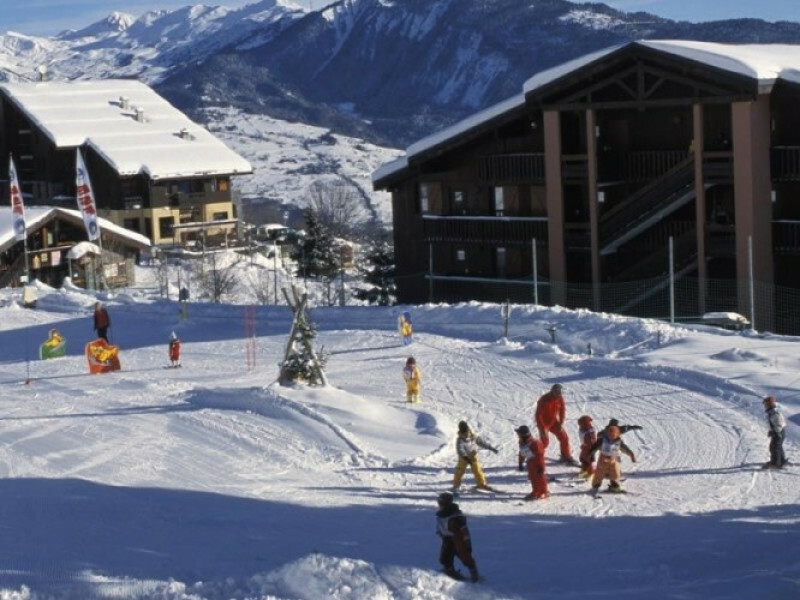 Ski schools offer their services also in foreign languages, a real plus feature for France! 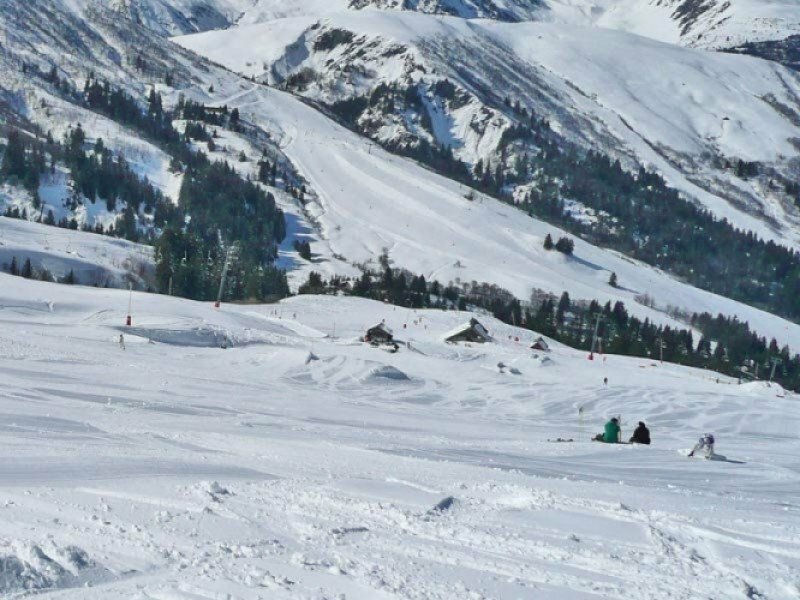 Valmorel features a beautiful and huge ski resort but offers also lots of alternatives to skiing such as winter hiking, snowshoeing, airboarding and toboggan. With such an abundance of winter activities to choose from winter will definitely become a favourite season. And Valmorel is without doubt a winter-wonderland which will leave a lasting impression!